Holders Berkshire are out of the Unicorns Trophy after losing to Devon by 22 runs in a highly-entertaining quarter-final tie at Sidmouth. They were dismissed for 251 as they replied to the hosts' 273-8. 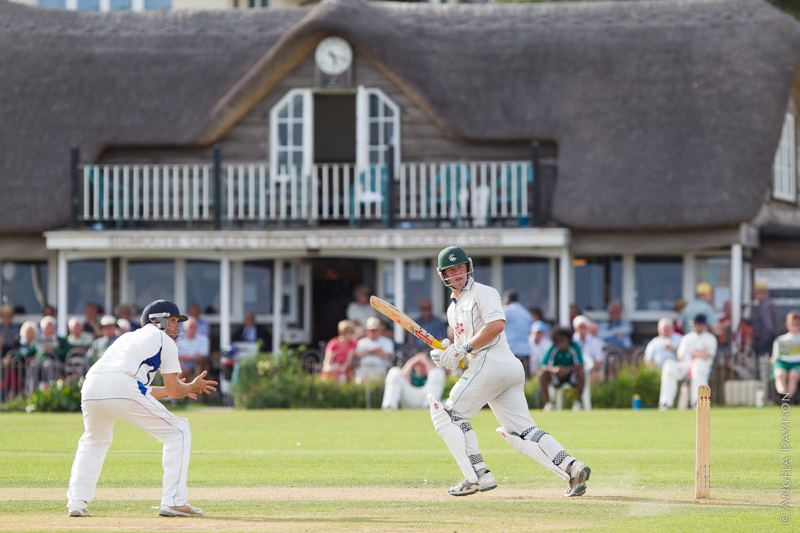 Berkshire made a dream start after their hosts had elected to bat first on an overcast morning at the seaside ground. Tom Nugent bowled Liam Lewis with his second delivery and his next saw Alex Barrow caught behind by Jack Davies. So two wickets down before a run scored. Davies replaced Stewart Davison, who was happy to be 12th man at a time when Finchley's new director of cricket is starting to concentrate on his coaching career. Nugent and his Henley team-mate Davies combined again to dismiss James Burke for 12 with the total on 28. However, Ben Green, a Somerset 1st team player, and Matt Thompson led a spirited recovery, taking the total to 126 in the 28th over before the former was bowled by Euan Woods for 66, which came off 85 balls and included nine boundaries. And just after Thompson had reached his half-century he, too, fell to Woods, this time to a catch by Chris Peploe. Thompson made 53 from 88 deliveries. leaving Devon 167-5 with 38 overs gone. This brought together another two of the Bess clan, Josh and Zak, both related to new England star Dominic, who had helped Devon to beat Berkshire when they met in the same competition at Exmouth two years ago. And the pair accelerated the scoring quite considerably, adding 58 in seven overs, a stand that ended when Zak fell to a catch by Birts to give Nugent his fourth wicket of the match. Zak continued to punish the Berkshire attack, frequently finding the boundary although it has to be said the Fortfield ground is on the smallish side. He smashed 73 not out off 45 balls with five 6s and five 4s. Ali Raja bowled Gary Chappell for 10 and Nugent had Scott Barlow caught behind by Davies to give him excellent match figures of 5-52 off 10 overs. Woods finished with 2-47 from 10 and Raja 1-46 from seven. Rishton, in particular, and Davies gave Berkshire a spectacular start to their reply, with the former bringing up his half-century inside the opening 10 overs, but he was then trapped lbw by Josh Bess, his 50 coming in 39 minutes and containing 10 boundaries. One over was especially beneficial for Berkshire, with Burke conceding 26 runs. But the 18th over was a bad one, with Davies departing for 32 before Richard Morris went for a second-ball duck, leaving the total on 106-3. Dan Lincoln struck two sixes, but didn't last much longer, being caught by keeper Thompson for 16, making it 128-4. Woods was on 34 when he was also taken by Thompson, and Berkshire had lost half their side for 149. Skipper James Morris and Peploe went through a quietish spell against some tight bowling, but, after needing 90 off 15 overs, they reduced the target to 62 from 10. But then Peploe edged Jack Popham to Thompson when on 20, giving the seamer his third wicket of the game, and 12 runs later Morris followed him back to the pavilion, having made 51 off 72 deliveries after an 82-minute stay at the crease. The end was now in sight with Joe Thomas (17), Nugent (8) and Ali Raja (run out for 0) all being dismissed in the 48th over, the innings ending on 251. It was the second time in three seasons Berkshire had been knocked out of the one-day competition by Devon.